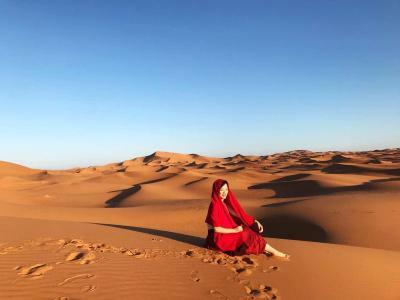 Lock in a great price for Merzouga Activities Camp – rated 9.5 by recent guests! Ali cas very helpful and everything was great. I strongly recommend this place!!! Unforgettable and without doubt the highlight of our trip to Morocco 😍. Recommend 100%. We were a bit sceptical because of the low price, but there is absolutely no reason to be. Ali and his crew were really friendly. The night at the camp was so amazing and watching the sunrise from there was a great experience. Definitely a "must do" in Morocco. Mohammed + Mohammed we’re absolutely amazing. Very welcoming and a wonderful sense of humor (ask for some riddles and Berber words to learn). We sat around the fire with Lahor(spelling?) and learned about Berber culture until the wee hours of the morning. It was definitely the highlight of our time in Morocco and I would recommend it to anyone who wants a great time with wonderful locals. Make sure to practice your drumming and singing before hand as they like to hear music from your local region. Also, get to know the staff. They aren’t just there for your entertainment — they are fantastic people with magical stories. The sunset, camel rides and star gazing lived up to the hype. 10/10 would recommend. I cannot wait to come back again once I’ve brushed up on my Berber dictionary I happened to create while there. Location is good, not hard to find as some previous reviews said. From our arrival to the camp, to transfer to camel riding and eventually got to their camp in the desert, Ali and his men provided us a seamless connection service. We had a wonderful time - Definitely one of the highlights of our trip! Mohamed was our camel leader and cook. He was fantastic !!! Highly recommended!!!! The property was very clean and well maintained. Even though it was a bit difficult to find, the location was perfect for walking out to the dunes to watch the sunset. My stay here was absolutely incredible. I became accustomed to absolutely horrible customer service and hospitality at my other accommodation in Morocco prior to my stay here, however this was the best hotel/hostel I stayed at during my entire trip. They were extremely accommodating, the owner even taking me from and to the bus station at no additional charge at 5:00am and 7:20 am respectively. The desert trip they took me on (which is included in the price of the stay) was absolutely fantastic. We got to see incredible dunes in the Sahara, a beautiful sunrise and sunset, ride camels through the desert, and see the Milky Way with incredible clarity. I will be recommending all my friends visiting Morocco to stay here, and you 100% should as well! I liked the location, it is in the middle of the dessert! I enjoyed the sunset, but the most amazing thing was the moonrise. That is truly beautiful :D Also, camel ride was a unique experience and I think anyone would like it! One of our best sellers in Merzouga! Offering a restaurant, Merzouga Activities Camp is located in Merzouga. There is a full kitchen with a dining table. At Merzouga Activities Camp you will find a 24-hour front desk. Other facilities offered at the property include a tour desk. The property offers free parking. A camel ride is included in the rates. 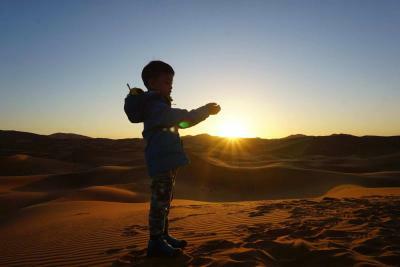 When would you like to stay at Merzouga Activities Camp? House Rules Merzouga Activities Camp takes special requests – add in the next step! Very good SERVICES by the staffs and also Ali the owner, he is very friendly helpful. Very recommend. The camp was at the edge of the desert, not between the dunes (all camps were forced out of the desert recently as we were told). Sandboarding available. Very good dinner (additional 10 euro). 15 minutes camel ride and sunrise watching. Fire and music in the evening, nice atmosphere. Friendly and kind staff. Peaceful and quiet location. The toilet was not clean but everything was working. The staff was really friendly and the breakfast was good. The camel ride to the desert camp was wonderful . Note that if you arrive later than 5 pm you are likely to stay at the facility near but not in the desert because it is to late for the camel ride . It was the best day of our stay in morocco. Walking on camels to the camp and seeing the sunset on the dunes is amazing and an unforgettable experience. Afterwards we had the best tajen so far and sat under the stars at a bonfire and listen to our guides playing the drums and singing. We will never forget our night in the desert! We had a wonderful time, we loved absolutely everything! Wonderful stuff, great facilities. It was an amazing experience! We like everything. Staff Is perfect. Riding camels to and from the middle of dessert was great. The culture night activity was excellent. The staff was very friendly and helpful. My staffed are helpful n friendly, the dinner n breakfast is wonderful. The camp is also very clean. 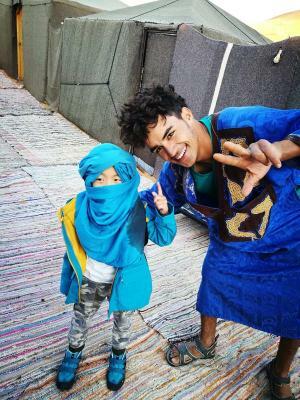 They’ve been 2 amazing days in Merzouga Activities Camp. Ali and all the staff were super good with us. It was clean and comfortable. There is always an amazing and complete breakfast!!! 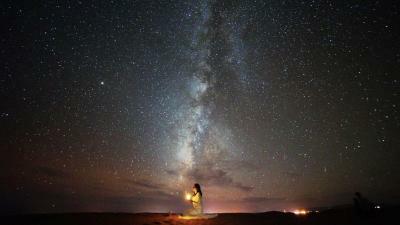 If you like photography just enjoy at least 2 days in their Haimas in the desert!! Absolutely fantastic, good price and good people!